Initially, the work will start with an eye hospital in the rural tribal area of Mandvi taluka of Surat district. The tribal belt of Gujarat which starts from Dharampur, extends to the Panchmahals, passing from Valsad, Surat, Tapi, Bharuch, Narmada, Vadodara & Dahod districts. 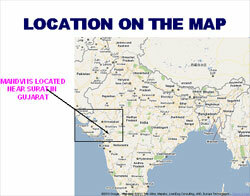 Mandvi is in the centre of the tribal area of Surat district. Mandvi is a small town with a population of about 25,000– a taluka place well connected to the villages of interior tribal areas of the district. Many villages of Dediapada & Sagbara talukas of Narmada dist. are also easily approachable. 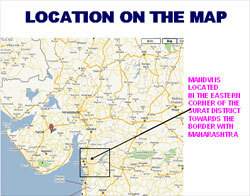 Mandvi is about 65 kms from Surat city towards east, well connected by road BUT there is no railway line coming to Mandvi. The nearest major railway station is Surat only. Vyara on taptivalley line is approx. 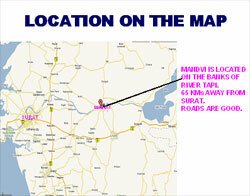 40 kms & Bardoli is 30 kms from Mandvi. The forest area starts from here extends to the east with sparse populatin and minimal cultivable land.